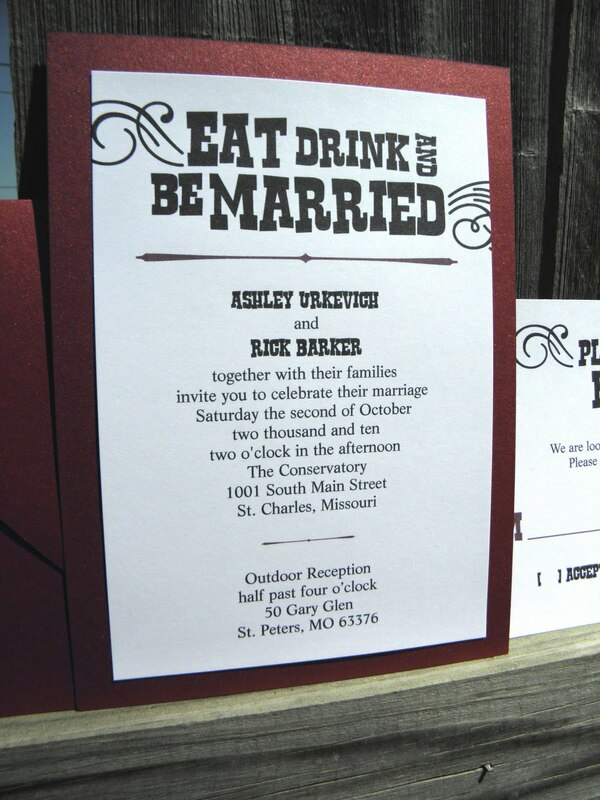 Ashley chose our Eat, Drink & Be Married invitation design. These are definitely invitations with attitude! 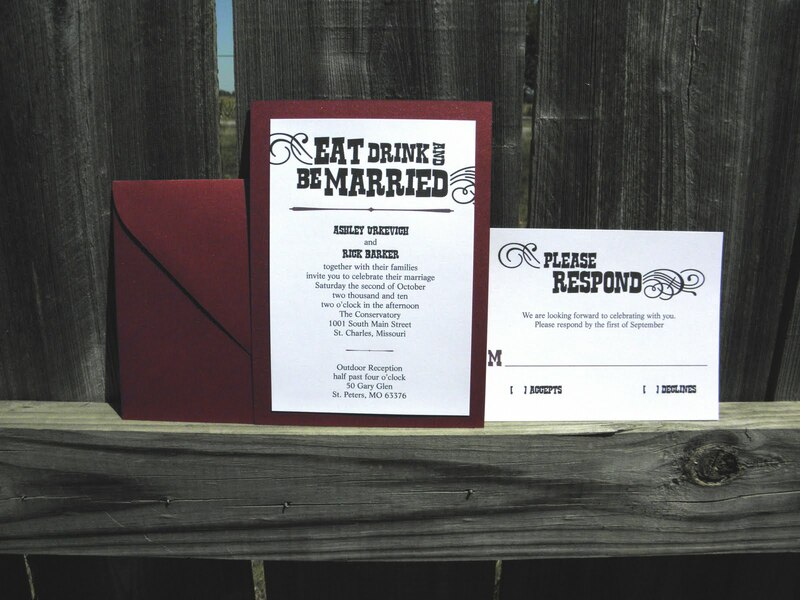 Bright white stock on sparkly rouge backer and envelopes.